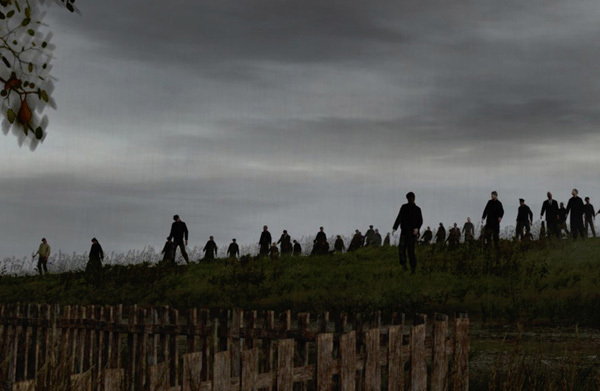 If you’re interested in zombies, video games, or realistic simulations of what happens when society fails you should look at DayZ, a very successful mod for Arma 2. 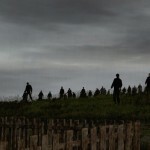 The basic idea of DayZ is that you wash up on the shore of a land infested with zombies. You have a small pack, a few cans of beans and very basic pistol. Game time proceeds at the same rate as the real world, so if it’s night time when you play, it’s night in the game. Only darker and scarier because the power is out and hundreds of zombies are shuffling around in the abandoned, Russian towns scattered around the map. The most intense and incredible thing about DayZ is not the zombies or struggling to find food and water for the next day. It is the emergent gameplay and interactions with other players. No one can be trusted unless they are real friends. It is much simpler to shoot first and then not actually ask questions. The awkward few seconds before they make up their mind is the only thing that lets you survive in this macabre world. My friend, John, and I meet up at an airstrip near the southern coast. It is devoid of loot so we make a quick trip to a nearby military aid tent set up before society was completely overrun. Normally the tents are surrounded by sandbags that make it difficult for zombies to get in. We assumed we’d be safe once we got in, but we were wrong. At least six zombies wearing military gear and helmets were already inside and surrounded us as we tried to escape the zombies chasing us from the airfield. We managed to survive, but barely, each losing about half of our blood in the process. Our only hope was to make to a major city and raid a hospital for blood transfusions. We skirt the outskirts of Cherno before finding some apartments near the hospital and search them for food. As I was walking down a flight of stairs in the last apartment, a zombie clawed me from the landing through the railings. Given my fragile state I passed out in pain and watched as almost all of my blood was depleted. I managed to revive myself at the last second, emptied a clip into the zombie and bandaged myself with only a sixth of my blood remaining. The hospital wasn’t too far away and we saw a ladder leading to its roof where blood bags had been dropped by helicopters. While climbing the ladder I fainted from having lost so much blood and fell into a mob of zombies that had gathered at the base of the ladder. Having met my ignoble end I re-spawned, hoping I’d be somewhere not to far away from John. Luck was with me and I spawned on the beaches of Elektro, another large city neighboring Cherno. We weren’t too far apart. As I cautiously explored Elektro, John collected as much blood as he could carry and began heading towards Elektro. I found a Winchester shotgun to compliment my starting pistol so I felt much more confident wandering the streets. The Winchester is capable of dropping even a player in one hit to the chest, giving it good stopping power in an unexpected encounter. While this was going on, John was desperately fleeing a hoard of zombies and was still low on blood from our tent debacle (it takes a second person to apply a transfusion). We agree to meet at the fire station on the edge of Elektro where I can use my shotgun to take care of the hoard while he gets to safety. I arrive first and clear out the zombies in the area, intending to give John a safe run in. Unfortunately as I see him coming down the hills from the woods, another player comes running up the road from Elektro, gun drawn at John. He hadn’t spotted me yet so I fired upon him. My first shot missed, he spun around and I took two pistol rounds to the chest and leg, dropping me to the ground. Only my mobility was impaired, I was still in pretty good shape and I managed to hit him two times with my shotgun, sealing his fate. John saved, I crawled back into the fire station right as he arrived with his trail of zombies. We quickly thinned them down and I bandaged up. After each receiving a transfusion of the other, I felt pretty good about our position and took a moment to breath. I noticed that my “bandits slain” counter had gone up by one, so I knew the man on the road had not been a good player and I felt justified in my actions. While recuperating in the station, we heard chatter over the radio from someone complaining about being slain by someone armed with a Winchester (i.e. me). It sounded like he had friends in the area but we couldn’t be sure and we didn’t take the threat too seriously at the time. John left the station out the back door first. Almost immediately we both heard the rapid hiss and spit of a silenced assault rifle and John was slain. I hadn’t left the building yet so I moved into the doorway, hidden by the door and trained my shotgun over John’s body, hoping whoever killed him would be careless enough to come loot. I was not wrong and soon an well-geared bandit came into my view. He reacted instantly and put two or three rounds into my chest by before I collapsed I managed to hit him once in the chest with the Winchester. I fell to the ground in pain but did not pass out so I was able to start bandaging right away. As I finished bandaging, he woke back up and I realized in horror that my shot had not killed him. Before he could aim I shot him again to end it (or so I thought). I looted his body and realized he was one of the best geared players out there: two silenced weapons (perfect for killing unsuspecting and innocent players, this guy had been a true bandit), night vision goggles (also great for stalking players at night), a GPS, and scads of other rare equipment that I’d only ever heard of. And now it was all mine! Right as I finished looting a grenade exploded just above me. I scrambled back inside and realized that the grenade had been intended for me, but the thrower missed and it had landed on the roof of the station harmlessly. The grenade drew every zombie in Elektro and the surrounding area and I started hearing shots from a high-powered sniper rifle ring out to deal with the massing hoard of undead. John and I realized that the first person I had killed had two friends: one waiting outside the back door with the silenced rifle and another who had climbed to the roof of the station to cover the other entrance in safety. He had thrown the grenade at me after hearing his second buddy beat the dust, but he had no angle on the back door to shoot at me. Now this whole time that I was holed up in the station with the sniper above me dealing the zombies he drew, John had re-spawned and was making his way back to Elektro. He managed to approach the back of the fire station unseen by the sniper who was too busy picking his shots against the zombies. Climbing the ladder to the top of the fire station’s tower, John found the third and final bandit laying prone, firing in the opposite direction from the ladder. John began firing with his pistol as the sniper tried to turn around after hearing noise from the ladder rungs but it was too late. The sniper’s gear was a similar collection of rare and deadly items meant to make banditry easy. We had barely survived an encounter with three bandits who should have cut through us easily given our respective gear load-outs. Not wanting to press our luck any further, we both immediately got indoors to safety and quit the game to prevent any further wrath from raining down on us. Perhaps a little long-winded in my details, but that entire tale resolved itself in about an hour of gameplay from a game that put players, zombies, and an open world together and allowed things to go wild. Simple elements can create some very powerful stories and adventures that feel more real than the scripted stories and plots in most commercial games.